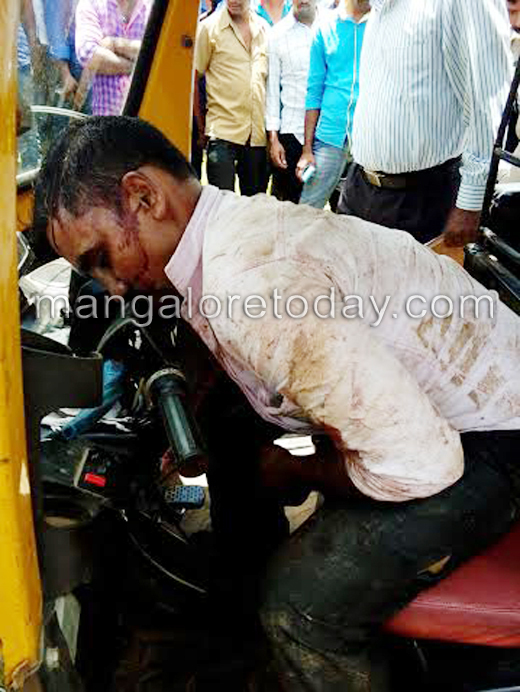 Mangaluru, Auto 29, 2015 : In a shocking case, an autorickshaw driver was found dead inside his vehicle at Natekal on August 29, Saturday. The suspicion is that he was murdered by someone by hitting his head with a heavy object. The deceased is Hidayath (28) from Alekal. It is suspected the was killed on August 28, Friday night. Hidayat who had left home at around 8.30 on Friday night had not returned. 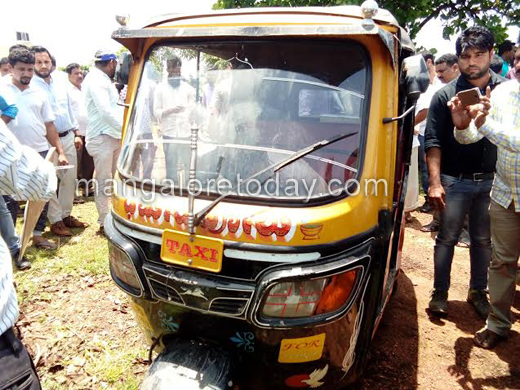 The next morning his autorickshaw was found abandoned near Sankesha in Natekal. Locals who looked inside found his body. It has been gathered that Hidayath who operates his autorickshaw in Tokkottu area had a second marriage after divorcing his first wife. According to his brother,a person named Farooq, the younger brother of Hidayath’s first wife, had threatened Hidayath a couple of days ago. Senior police officials have visited the spot and investigations are underway.